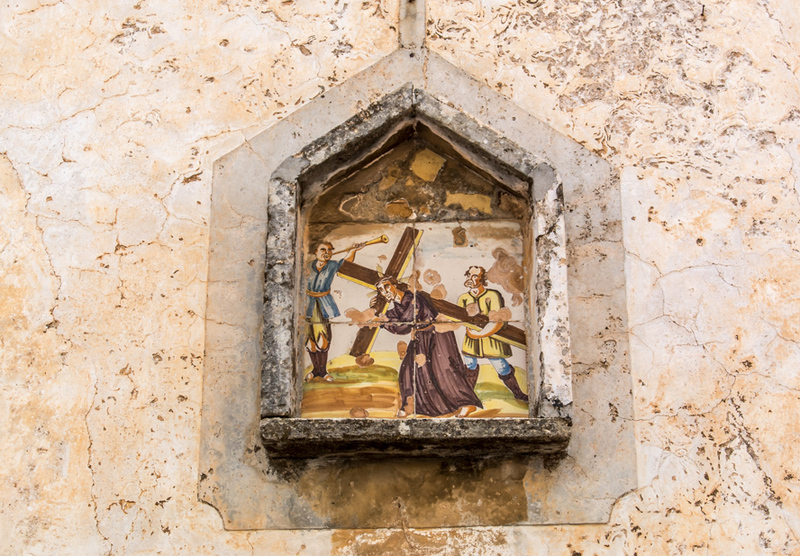 Spanish towns and villages usually have a Vía Crucis, a Way of the Cross, often small plaques with reliefs or paintings as is the case in Santanyí. The photo was taken in Santanyí, Mallorca, Baleares, Spain. The date: February 19th, 2014.